Joseph was born May 3rd in Washington, D.C., USA, which makes him a Taurus (for those who have astrological interests). 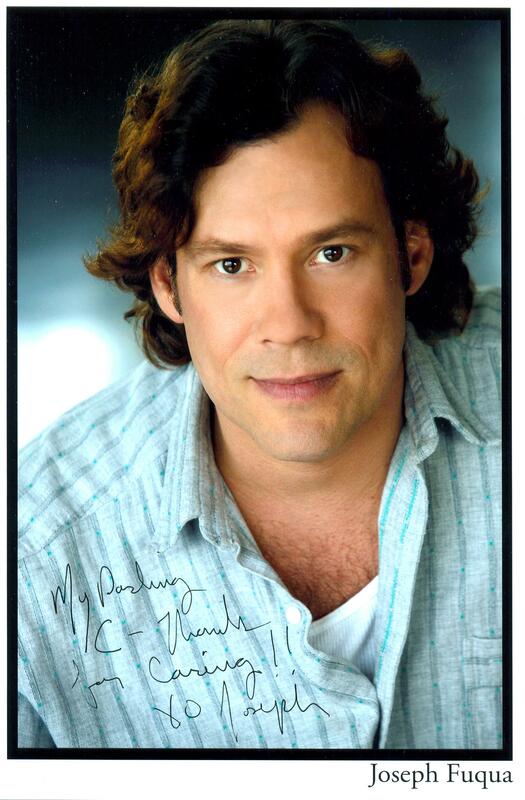 He is a graduate of the Yale School of Drama (1990), and a recipient of their Oliver Thorndike Award. Joseph Bernard Fuqua (born May 3, 1962 in Washington, D.C.) is an American actor, director, instructor and playwright. Fuqua attained his Actor's Equity card after a two year internship with The Cincinnati Playhouse in the park (this after three years at James Madison University). Fuqua received his graduate level training at Yale Drama School and moved back to New York City upon graduation. He joined The Cuccaracha Theater of Soho and spent six years as a company member. He is perhaps best known for his role as J.E.B. Stuart in the films Gettysburg and Gods and Generals. Fuqua also appears in the films David Searching opposite Camryn Manheim, Heyday, Something Else, and has an uncredited appearance as Bond Trader Boyce, a stockbroker, in Ed's Next Move. He has guest starred in such popular television series as The X-Files (in the episode "Synchrony"), Star Trek: Deep Space Nine (in the episode "Rocks and Shoals"), Chicago Hope (in the episode "Gun with the Wind"), Becker, NYPD Blue, Beyond Belief: Fact or Fiction, The Profiler, G vs E, Brooklyn South and The Wright Verdicts. Joseph also appeared in the pilots for Second Nature, Born and Bred,Elementary and Numb3rs. Fuqua has acted in over 100 plays over the past twenty-nine years, and has the honor of being the first permanent company member at the prestigious Rubicon Theatre Company in Ventura, California. He has acted in twenty-nine plays at Rubicon over the course of fifteen seasons (with his 30th appearance slated for Fall, 2014, in their 2013-2014 season). Fuqua received an L.A. Ovation Award (Rubicon's first-ever Ovation Award) for his performance as George in Arthur Miller's All My Sons, directed by Rubicon Artistic Director James O'Neill. Throughout his tenure at Rubicon, Fuqua has played a variety of characters of different ages, types, dialects, and backgrounds. For Rubicon's 2006–2007 Balancing Acts season, Joseph played Hamlet, under the direction of Rubicon Artistic Associate Jenny Sullivan, for which he received the 2007 Indy Award for Best Actor and the 2007 Santa Barbara Independent Award Leading Actor Award. Along with acting at Rubicon, Fuqua also is an instructor for their Adult Acting Classes, Fearless Shakespeare Youth Summer Program, does private coaching, served as Associate Director for their production of Jenny Sullivan's original play, J for J, and served as the play's director for the Los Angeles run starring the late great John Ritter. He has directed the Youth Intern production of: This is Our Youth, and for Rubicon's Fearless Shakespeare Youth Summer Program, the Summer Youth productions of: A Midsummer Night's Dream, Bard On A Wire, Macbeth, As You Like It The Life and Death of King John, and Romeo and Juliet. In June, 2014 Joseph will direct King Lear for that program. Fuqua's stage appearances outside of Rubicon include: The Mystery of Irma Vep, Private Lives and Six Dance Lessons In Six Weeks (Ensemble Theatre, Santa Barbara, CA), and Fabuloso (Wellfleet Actors Harbor Theatre, Wellfleet, MA). Other regional theatre credits include The Arena Stage, Portland Stage, Dallas Theatre Center, Actor's Theatre of Louisville, South Coast Repertory, Santa Fe Stages, New Jersey Shakespeare Festival, The Dallas Shakespeare Festival, The Manitoba Theater Center, The Edinburgh Festival, Studio Arena Buffalo, The American Stage Festival, People's Light and Theater, Cincinnati Playhouse and The Yale Repertory Theater. This article about a United States film actor born in the 1960s is a stub. You can help Wikipedia by expanding it. Joseph Fuqua* (Actor 1) is appearing in his 30th production at Rubicon with Incognito. A graduate of the Yale School of Drama, his Broadway and Off-Broadway credits include Brighton Beach Memoirs and 110 in the Shade at Lincoln Center. Regionally, Joseph has appeared as Octavius Caesar in Antony and Cleopatra at Actors Theatre of Louisville, Alexei in A Month in the Country at Arena Stage, Iago in Othello for Shakespeare Festival of Dallas, Louis in Angels in America at Dallas Theater Center and Six Dance Lessons in Six Weeks opposite Mary Jo Catlett at Ensemble Theatre. On TV, Joseph guest-starred in The X-Files, The Profiler, Brooklyn South, The Pretender, Chicago Hope, Star Trek: Deep Space Nine, Becker, and the pilot Second Nature. Film credits include Ed's Next Move, David Searching, Heyday, and as J.E.B. Stuart in Gettysburg opposite Martin Sheen, a role he reprised in the film Gods and Generals. In 2000, Joseph joined Rubicon as the first company member. His roles include the title role in Hamlet (Indy Award), The Boys Next Door (Indy Award), The Rainmaker (Robby Award and Rep Award), All My Sons (Ovation Award), Doubt (directed by Jenny Sullivan), Sebastian in Jim O'Neil's The Tempest, The Mystery of Irma Vep, Private Lives, Simon Stimson in Our Town, James Tyrone, Jr. in A Moon for the Misbegotten, Bruce Wagner in Conviction, Professor Henry Higgins in My Fair Lady, and, most recently, Marshal Johnson in the American Premiere of The Man Who Shot Liberty Valance. JOSEPH FUQUA (Acting Instructor / Director) has been a professional actor for twenty years, having graduated from the M.F.A. program at Yale School of Drama where he studied acting with the legendary Earle Gister. Before Yale, Mr. Fuqua also attended many schools and university programs, including studies at James Madison University (Communications and Costume Design), S.U.N.Y. Purchase (Voice and Acting), University of London: Birkbreck College (Architecture and Theatre), Rhode Island School of Design (Architecture and Fine Arts), as well as master classes at H.B. Studios with Uta Hagen, (Author of "Respect for Acting" and "Creating a Role"). Joseph became a member of the Renegade Cuccaracha Theatre Company in New York City, performing for several years in the popular Underground Soap. A membership with the Circle Rep Lab soon followed. Broadway and Off-Broadway credits include Brighton Beach Memoirs, 110 in the Shade (Lincoln Center), Raft of the Medusa and Yours, Anne. Regionally Joseph has appeared on the stage in varying roles of many well known theatres including Octavius Caesar in Antony and Cleopatra at Actor's Theatre of Louisville, Alexei in A Month in the Country at the Arena Stage, Iago in Othello at the Dallas Shakespeare Festival and Louis in Angels in America at the Dallas Theatre Center. While in Dallas, Joseph had the honor of teaching advanced acting at Southern Methodist University with Miss Sheridan Thomas. Moving to Los Angeles in 1997, he worked extensively in television, film and theatre. 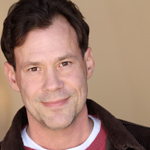 Joseph has guest starred on “The X-Files,” “The Profiler,” “Brooklyn South,” “The Pretender,” “Chicago Hope,” “Star Trek: Deep Space Nine” and “Becker.” On film, he has appeared in “Ed's Next Move,” “David Searching,” “Heyday,” and as J.E.B. Stuart in “Gettysburg,” a role he reprised in the Warner Brothers film “Gods and Generals” with Robert Duvall. L.A. audiences have seen him in The Cat's Meow (Drama-Logue Award), Very Truly Yours, On the Jump at South Coast Rep, and All My Sons at the International City/Theatre of Long Beach. He made his professional directorial debut with J for J (featuring Jenny Sullivan and the late great, John Ritter), presented by Rubicon and 11th Hour Productions at the Court Theatre. In 2000, Joseph joined Rubicon as its first company member having appeared in over 16 productions with Rubicon, including the title character in Hamlet. He has taught middle school, high school and adult acting for the company since that time. Joseph is a member of the Screen Actors' Guild, Actors' Equity Association and the American Federation of Television and Radio Artists.